"I have always written freely on the subjects I feel strongly about. My aim is to depict reality as it is , not to paint one for the convenience of a reader's conscience." Rare is this amalgamation of gentle sensitivity, utter humility and such superior intellect. Probably her solace with her wonderful self is the reason behind the glowing radiance on the face of this 60-year old, which can put a thousand electric bulbs to shame. Meet the multi-faceted Chitra Mudgal, a renowned and respected figure in modern literature in Hindi, who is also a dedicated trade unionist, social activist, virtual mother to slum dwelling women and, at the same time, a doting housewife and mother. Probably it will be better to say that her wide spectrum of social work and her unflinching belief in "humanism defines the world-class writer in her. 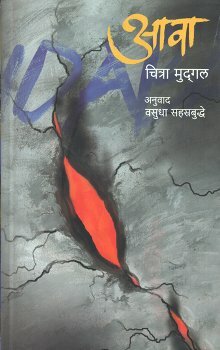 Chitra ji's recent novel 'Aavaan'—meaning potter's kiln— is hailed as one of the greatest literary works in Hindi and brought her laurels from world over, through the symbolic kiln in which the earthen vessels are baked before- a few emerge as pieces of art, she has epitomized the struggle of factory workers and women in the socio-political make up of that time. The novel is an honest representation of her deep and long association with the trade union movement in India during the times of famous unionist Datta Samant. 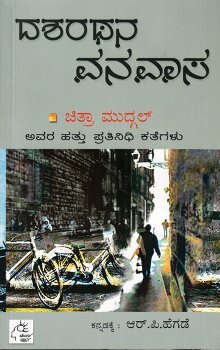 Such was the impact of this piece of literature that none other than the noted litterateur Girish Karnad, Director of Nehru Centre, went on record to quote that the book , deserves an international award analogous to the Booker Prize. 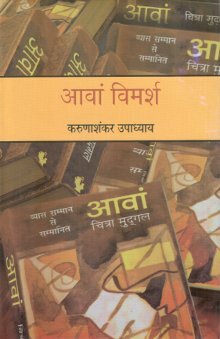 'Aavaan' deservingly brought Chitra ji the 'Indu Sharma Katha Samman' in 2000 by the South Asian Katha Group in London, 'Sahitya Kriti' award by Hindi Academy in 2000, 'Vir Singh Dev' award by Madhya Pradesh Sahitya Acedemy in 2002, and the 'Sahitya Bhushan Samman' by the Uttar pradesh Hindi Sansthan in 2000. She was also decorated with the Birla foundation's 'Vyas Samman', becoming the first woman to receive this prestigious award. 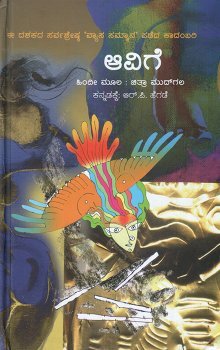 Chitra ji's other novel earning rave reviews, is "Gilligaddu", which is a story by a grandfather for his twin granddaughters. The issue of the rising loneliness among the senior citizens has been dealt with immense tenderness, while bringing out the stark indifference practised by the younger able-bodied generation. 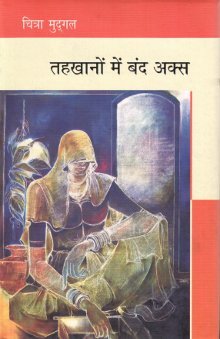 Chitra ji was honored with the Fanishwarnath Renu Sahitya Award for her novel 'Ek Zameen Apni' by the Gramin Vikas Sangathan in 1994. She has also been a recipient of numerous awards like the 'Preksha Award' (1986) for National Unity and Integration, Sahitya Kriti award (1986-87) for her story collection 'Is Hamam Mein' by the Hindi Academy, Bal Sahitya Award (1986-87) for children's book 'Jungle ka Raaj' by Hindi Academy, Raja Radhikaraman Prasad Award (1987) for 'Gyaraah Lambi Kahaniyaan' by Rajasthan Vibhag, Sahityakaar Samman (1995) by the Hindi Academy, Vidula Samman (2001) for the contribution to Social Services by Vikas Kaya Foundation, Kolkata. Inspired by the works of Amritlal Nagar and Premchand, Chitra ji is fond of the writers in Agyeya, Muktibodh, Kamleshwar, Krishna Sobti, Pankaj Bisht and Geetanjalishree amongst others. Maxim Gorky's "Mother" and Earnest Hemmingway's "Old Men and the Sea" also left a lasting impression on her. She has written innumerable short stories, four novels which include, "Aavaan", "Gilligaddu", "Ek Zameen Apni" and "The Crusade"; three novels and four short story collections for children and a anthology of write ups. Her writings have been translated not only in other Indian languages but also in foreign languages like Italian, Czechoslovakian and German, among others. A lot of her stories have found their way into telefilms, feature films and television serials like "Ek Kahaani", "Majhdhaar" and "Rishtey". Her stories have also been included in the curriculum of NCERT Books and various national and international Universities. Being the true inspiration that she is and in the light of her vast continuum of work, it is no wonder that Chitraji is today the subject of thesis for about 27 Ph.D. and 32 M.Phil students. It wouldn't be an exaggeration to claim that Chitra ji is perhaps the only writer in the Capital today working for a social cause at the grassroots, serving the women and children of the weaker sections of the society with a mother's concern. A feminist with a firm belief in equal rights for women, she runs her own organization, Samanvay. Like her, the motto of her organization is also to awaken the sense of social responsibility among people. Chitra ji makes it clear that there is no political, financial or personal ambition associated with this organisation and that's the reason why she hasn't even got it registered. "Whoever is willing to work towards a cause, is welcome to walk along", she smiles. She is also associated with organizations like 'Stree Shakti' and the 'Manila Manch' of Uttar'Pradesh.